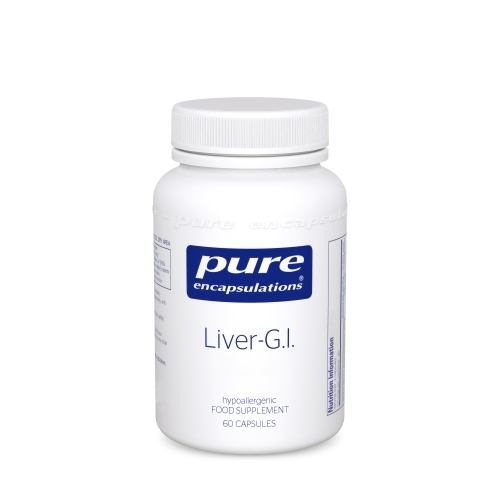 Liver-G.I. provides a comprehensive blend of phytonutrients and nutritional factors; featuring N-acetyl-l-cysteine and alpha lipoic acid. It contains milk thistle and turmeric extracts as well as broccoli sprout extract standardised to sulphorophane. 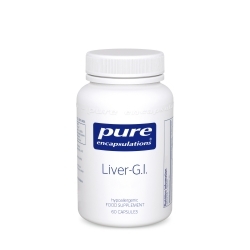 Liver-G.I. also provides the amino acids glutamine, glycine, taurine and methionine. Chlorella is a blue-green algae that has the highest content of chlorophyll of any food on the planet. Furthermore, its nutrient rich matrix includes vitamins, minerals, protein, carotenoids, and flavone compounds.